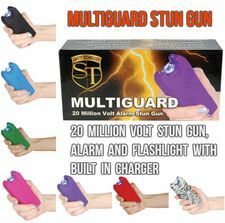 This Is The Most Realistic Cell Phone Stun Gun on the Market Today So You Will Be Safe at All Times! 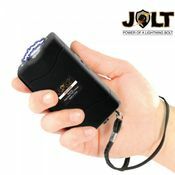 This might just be the most realistic cell phone stun gun on the market today! Most other models are big and bulky or look like phones that were popular 10 years ago. The "SamStun" 6,000,000 looks just like a modern day smart phone. Although it is not a real cell phone, you will be making the right call when you carry it to protect yourself. At the first sign of danger just get out your "SamStun" and pretend to make a call. 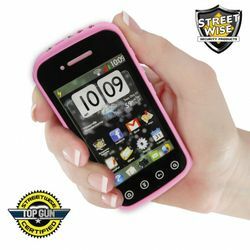 Any bad guy who gets too close to this "cell phone" will get the message loud and clear that you will not be a victim! 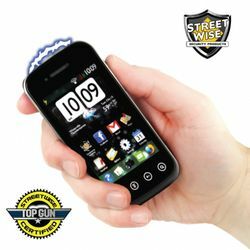 Discrete Protection: This is the most realistic cell phone stun gun on the market today. 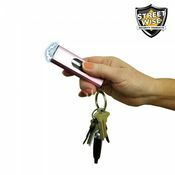 When you pull out this stun gun your attacker will think it is a cell phone. 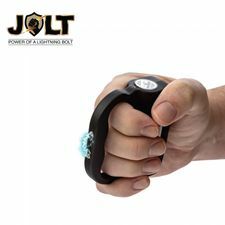 By the time he realizes it is a stun gun it will be too late. 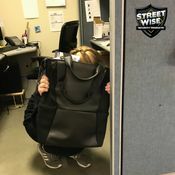 This can give you the element of surprise that is often needed to defend yourself. 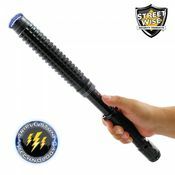 Powerful Stun Gun: Just test firing this unit into the air is often enough to stop an attacker. As the electric current pulsates across the top of the unit, it creates an intimidating electrical sound. An attacker with any sense will be stopped in his tracks. If the sight and sound doesn’t stop him, a jolt from this unit certainly will. 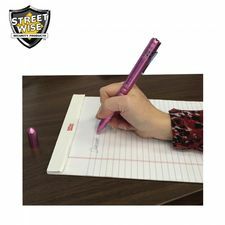 Slim Design: At less than 4 1/2" tall and less than half an inch thick it is easy to conceal and light enough to take with you wherever you go. Deluxe Holster: Although this model is slim enough to carry in your pocket or purse, a holster with clip is also included for easy carrying. 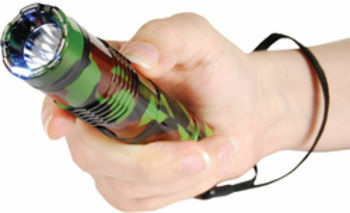 Disable Pin: Prevents an attacker from taking this stun gun away and using it on you. A strap worn around the wrist attaches to a disable pin on the bottom of the unit. 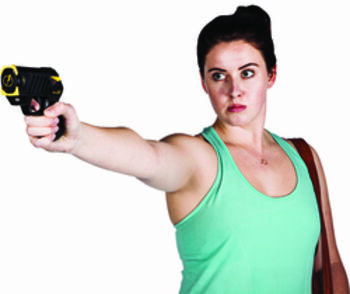 If the stun gun is taken from you, the pin will pull out, preventing it from working. A plug is included for those who do not want this feature. AC Adapter with Charging Status Indicator: This is another unique feature that sets our model apart from the competition. As the Samstun charges an led light on the adapter changes colors (red to orange to green) so you know when it is fully charged. Lifetime Warranty: The Samstun comes with a lifetime warranty.